Fine. We can keep pretending that everything is okay, but when is it appropriate to hit the panic button? When the team is 15 games out of first in the division? So, what, wait another week or two? The time to panic is now, and I’ll tell you why: this team looks defeated before they even get halfway through the game. Hitting isn’t the issue. The offense has been putting up runs. They’ve done their job. Pitching (and fielding, but mostly pitching) has let this team down, and it’s been embarrassing. 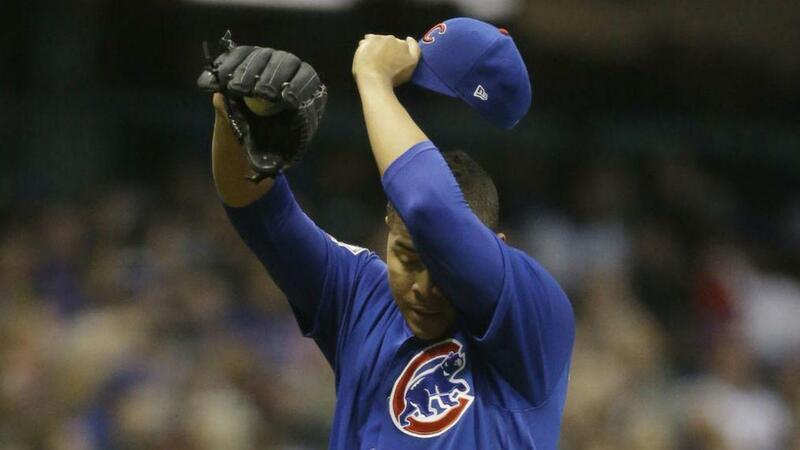 Jose Quintana, a guy who has dominated the Brew Crew in his time as a Cub, gave up eight runs through three innings of work. A starter had to turn it over to the bullpen after (barely) getting nine outs. That’s terrible. Yeah, okay, but for some reason EVERYONE has been “off”. You can live with a few guys here and there having a rough streak, but when you have gold glovers letting balls go past them (multiple times) and guys throwing walks left and right, it’s going to be hard to get out of this hole. The one good thing (I guess) about last night was the Cubs ONLY surrendered five walks. That’s better than the eight per game they’ve been giving up, but aside from that, the pitching was awful. So, are fans just hoping some switch turns on, and the team starts playing well? That sure would be nice, but I don’t see it happening. Every arm Joe goes to has been a disappointment. The team has an ERA over seven. Aside from Jon Lester, these guys are taking the mound with nothing. I don’t know about you, but I’m getting pretty damn sick of seeing a disappointed Rizzo stare at the pitching coach every two innings when he makes a mound visit. Hopefully I’m wrong, and the boys figure it out. I keep tuning in with optimism, but that’s began to fade. People point out “Theo’s Red Sox didn’t make the playoffs the year before they won it again,” as though that’s something to be excited about. I don’t want to miss the playoffs. This team has too much talent to have the record that they do, yet here we are. For the love of God, Cubbies, please prove me (and all the other doubters) wrong. I don’t want to have a miserable summer. Previous Sure, It’s Early… But What On Earth Happened Last Night?